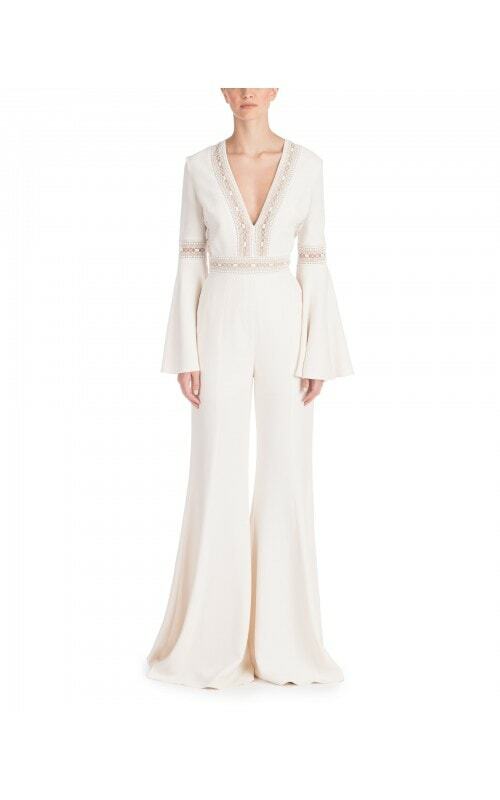 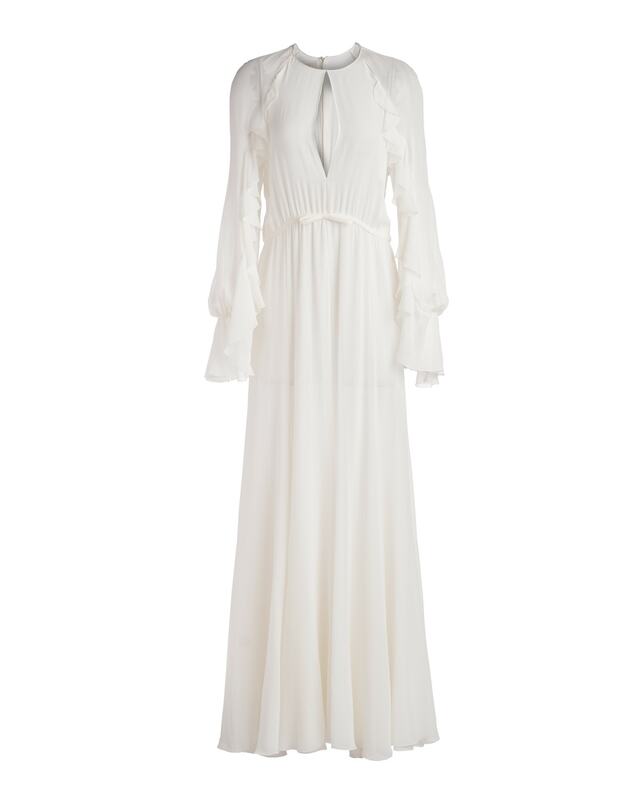 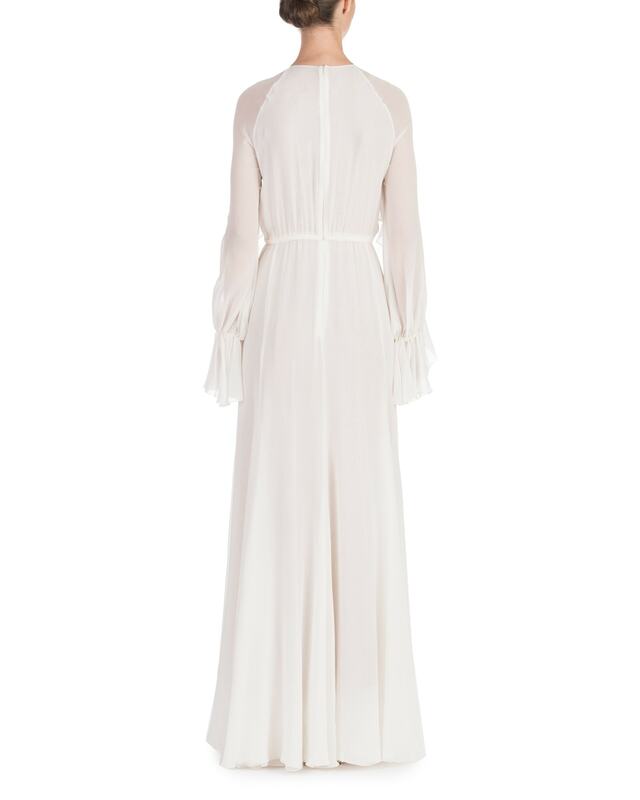 Feminine and airy, this round neck long sleeve gown is crafted in an optic white silk chiffon fabric. 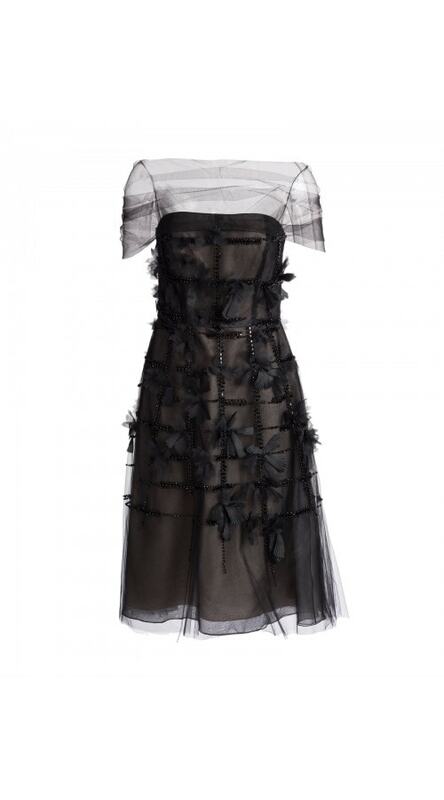 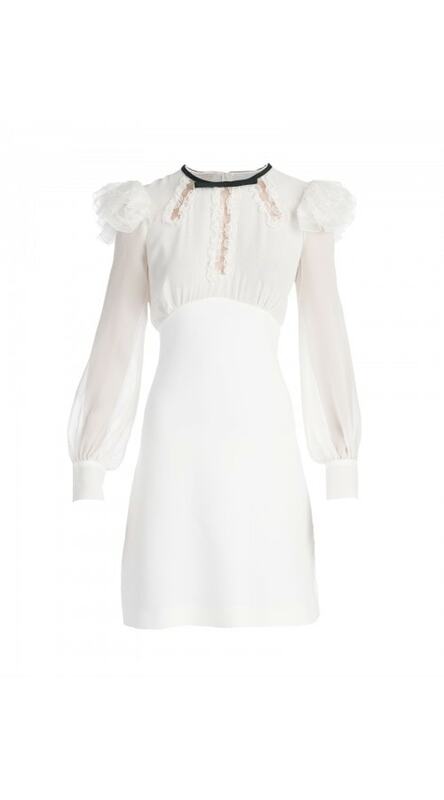 The floaty sleeves feature delicate ruffle details and fine pleats are eleganty draped across the body. 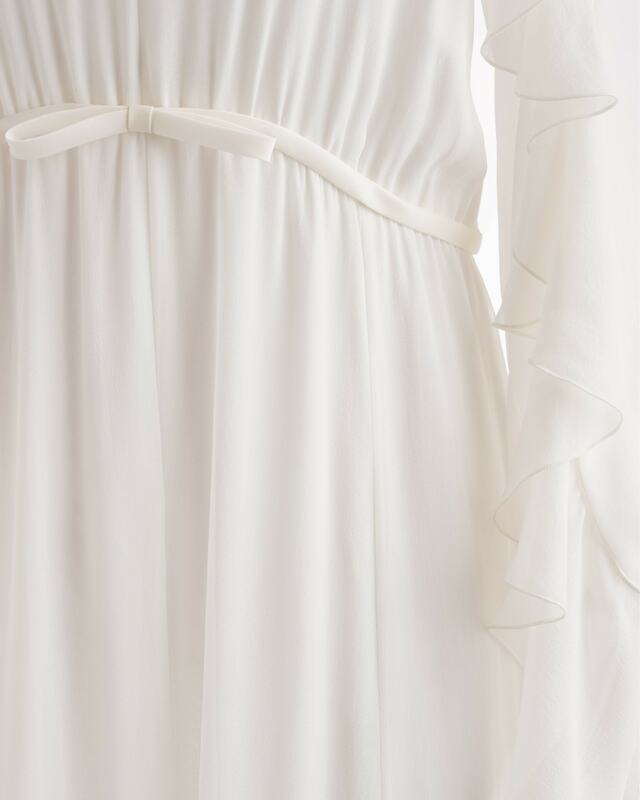 A small bow gathers the waist to define the silhouette. 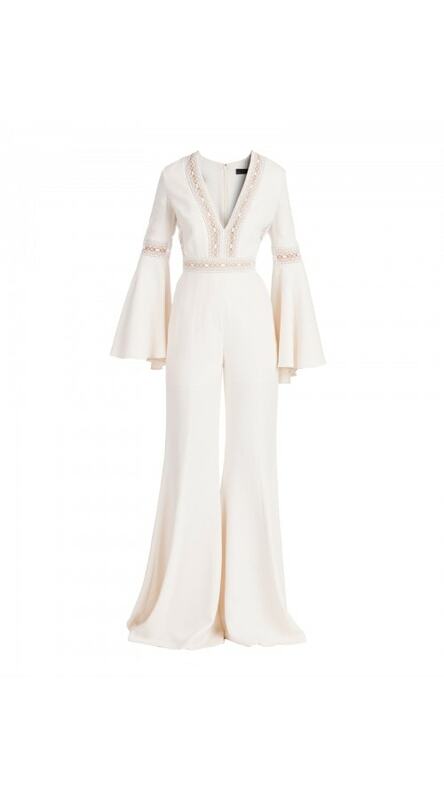 46IT: Bust 40", Waist 31", Hips 42", Sleeve length 25", Length 62"
48IT: Bust 42", Waist 34", Hips 44", Sleeve length 25", Length 64"